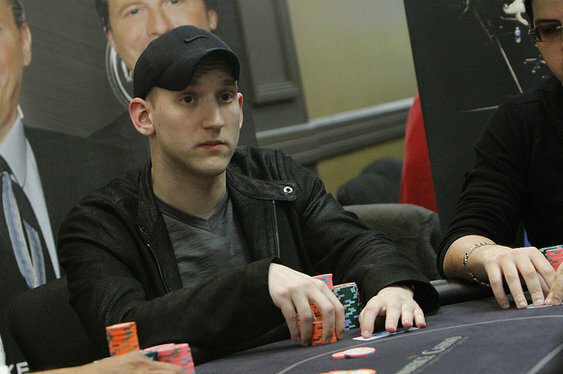 After parting ways with Ultimate Poker back in 2014, Jason Somerville he has revealed that he'll be flying the PokerStars banner in the coming months. Recently announced as the latest Team Pro member, Somerville will line up alongside his good friend Daniel Negreanu and represent the poker brand at tournaments across the world. However, unlike other pros on PokerStars' roster, Somerville will also be making his presence felt in the online world with his popular Twitch series: Run It Up! What first started out as a small project to help some of his loyal fans has since grown into a regular show that attracts thousands of viewers. Although Somerville's time on the air has been less frequent since he left the now defunct Ultimate Poker, the love for Run It Up! hasn't diminished and in an effort to capitalise on this, PokerStars has launched its own Twitch Channel. Set to launch on Sunday March 1, the online channel will host Season 3 of Run It Up! as well as more exclusive poker content in the future. Over the last 12 months the number of poker players using Twitch's live streaming facilities to broadcast their poker exploits has grown immensely and Somerville's show is just the tip of the iceberg. "I'm delighted to become a member of Team PokerStars and can’t wait to resume my Run It UP! series on Twitch. I'll be live streaming for several hours this coming Sunday and I can’t wait to hear from, and chat to, a growing group of poker fans as the broadcasts continue." The move is certainly a bold one by PokerStars as Twitch has more than 100 million registered users. The majority of this global audience is already tuned into online gaming and technology and PokerStars believes its new channel, along with Somerville's presence, will help bring a wave of new players into the game. "Jason is a unique proposition – a poker pioneer who has had great success both online and live, and brings something different to the table through the way in which he has built a popular live streaming poker show. I'm sure he will be a great ambassador for PokerStars, and will help to increase the level of interactivity between the brand and its players," said PokerStars' Kirsty Thompson.